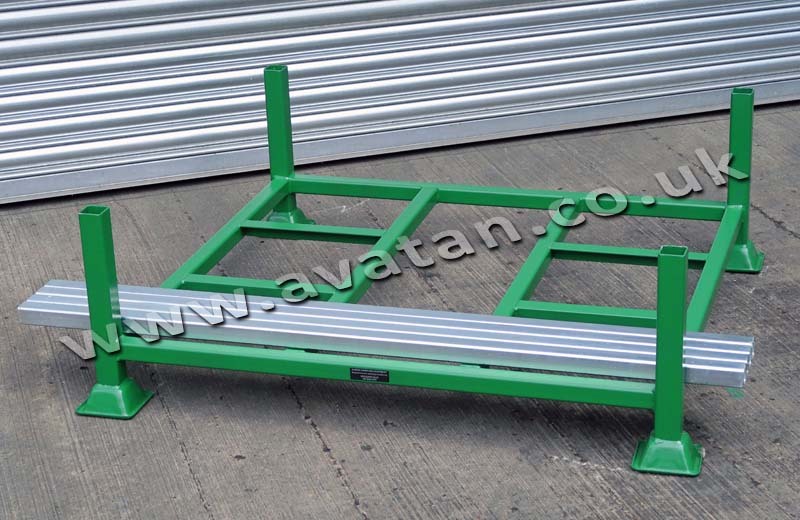 SP Demountable Postrack for pallets or loose products and rolls of material, carpet or underlay. 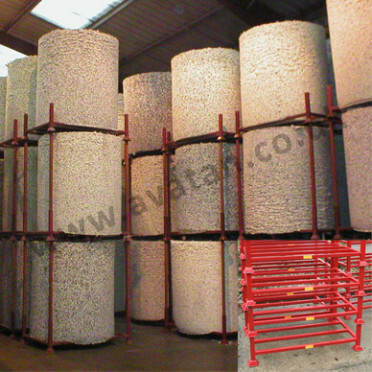 Size: 1200mm x 1100mm x 380mm stub post height, 1550mm overall height. 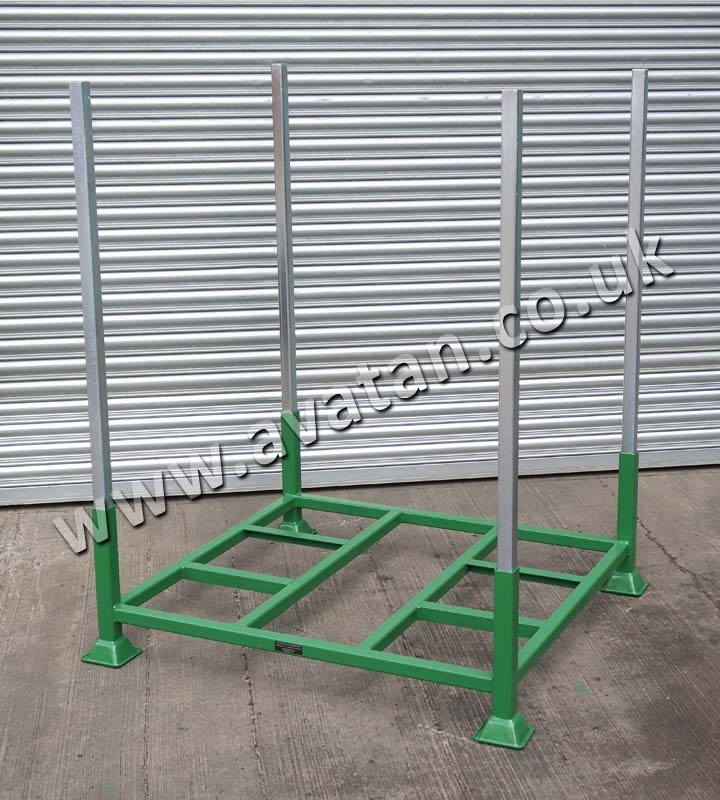 Four way entry demountable Postracks with open braced base frame, fixed stub posts and supplied with removable posts as required. 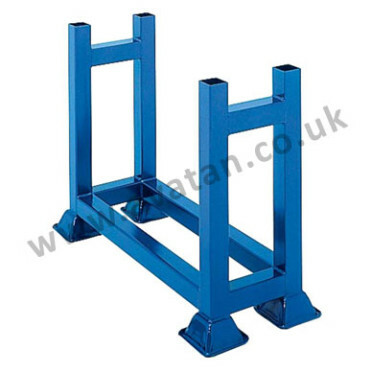 SP Postracks may be used as an alternative to conventional pallet racking and are suitable for 1000mm x 1200mm x 1350mm high palletised load, stackable three units high with 750kg u.d.l. per pallet. Manufactured from mild steel hollow box section to main framework with mild steel angle base bracing. May be accessed by forklift from all four sides. 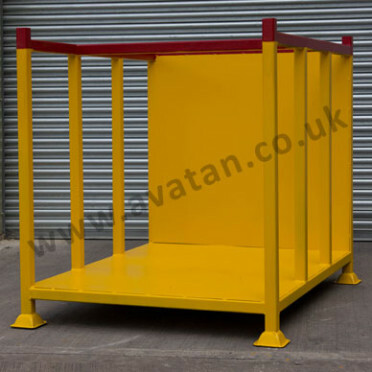 Mounted on 125mm square pallet feet and finished in air dry paint. 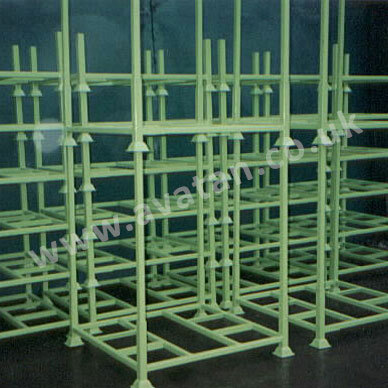 Removable posts may be zinc plated for added durability. 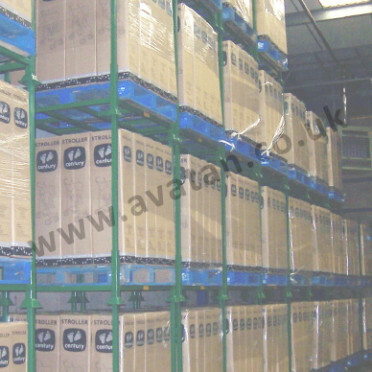 This style of pallet racking may be block stacked or used in aisles to create an instant and flexible warehousing system. 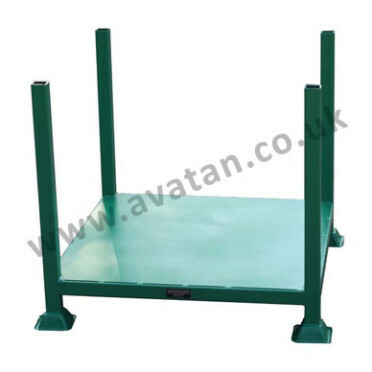 Also ideal for storage of rolled materials. Available for sale and for long and short term hire. Rental of this style of Postrack can facilitate easy and efficient storage during seasonal peaks without breaking the bank. Other sizes are available and can be manufactured to order.